Sister Diane (Emmanuel) McCalley, CSJ, 79, died Sunday, January 22, 2017, in the 59th year of her religious life as a Sister of St. Joseph (since 1980) and a Benedictine sister (1958-79). The daughter of Chester L. and Celia Castrodale McCalley, Sister Diane entered the Congregation from Nativity Parish in Pittsburgh. 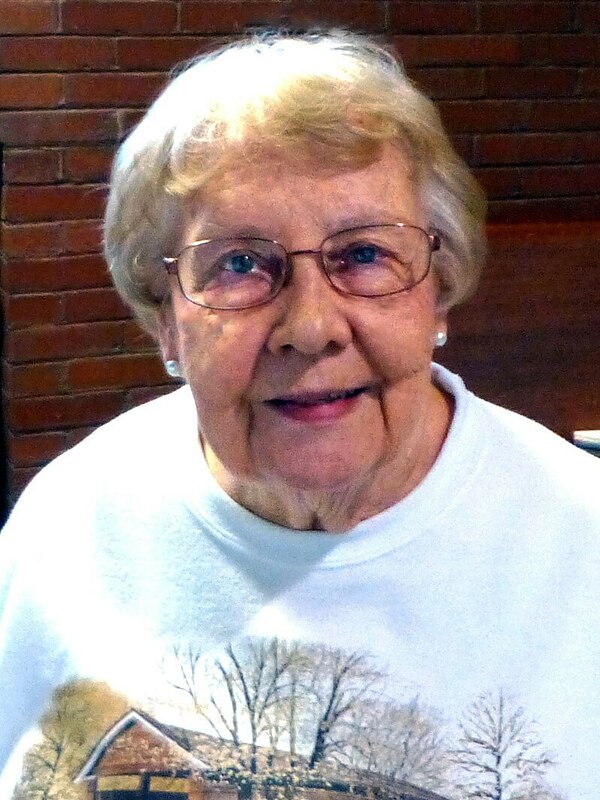 As a Benedictine sister, Sister Diane served as a high school music teacher (1960-72) and unit manager at the Ebensburg Center where she developed the first Department of Pastoral Care (1972-80). As a Sister of St. Joseph, Sister Diane enhanced her music education with a degree in theology, paving the way for chaplaincy and pastoral care ministries. She served as Chaplain Resident at Allegheny General Hospital (1989-91) and Coordinator of Pastoral Care Services at Mercy Psychiatric Institute (1991-97), both in Pittsburgh, and Director of Pastoral Care at Genesis Health Care System (2001-06) in Zanesville, OH. She most recently served as Pastoral Associate in Wheeling, WV, parishes of Corpus Christi (2001-2005) and St. Vincent de Paul (2006-2012). For nearly 20 years, Sister Diane, a long-time spiritual director, helped to plan the annual Women’s Spirituality in the Workplace weekend retreat at St. Joseph Spirituality Center, most recently partnering with Associates of the Sisters of St. Joseph. She cherished her relationship with the Associates whom she said bring “a source of new life” to the Congregation. Sister Diane deeply valued her friendships as much as the solitude of the mountains of West Virginia, which were often the backdrop for walking or reading the works of Thomas Merton. Sister Diane is survived by an aunt, Dolores Havel of Cecil, PA, many cousins, the Associates, and the Sisters of St. Joseph of Baden. Friends will be received Tuesday, January 24 from 1- 8 p.m. and Wednesday, January 25 from 11 a.m. – 2:30 p.m. at the Motherhouse of the Sisters of St. Joseph. Prayer Vigil will be Tuesday, January 24 at 6 p.m. at the Motherhouse. Mass of Christian Burial will be offered Wednesday, January 25 at 3:00 p.m. Burial will follow in the Sisters’ Cemetery on the Motherhouse grounds. Donations in the name of Sister Diane may be sent to the Sisters of St. Joseph Memorial Fund, St. Joseph Convent, Development Office, 1020 State St., Baden, PA 15005. Make a gift in memory of Sister Diane.